It's Friday and we've got Good Times! Good Times the stamp set from the October Mama Elephant release, that is! 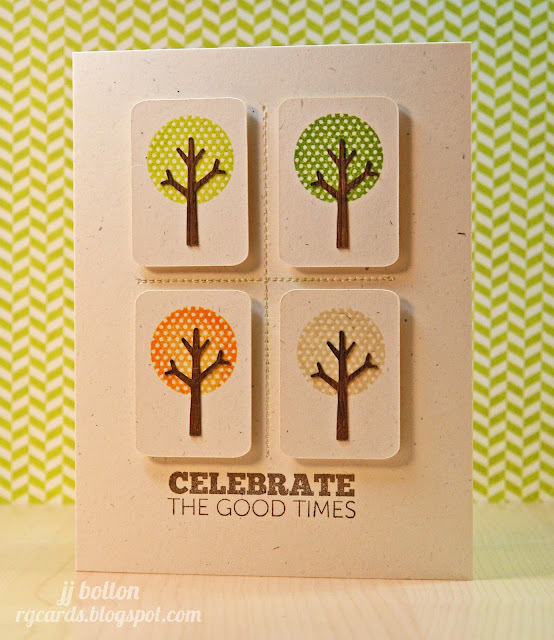 If you're looking for fresh sentiments for carding and scrapbooking, look no further! You've already seen me use this set here and here. How about something completely different? Thanks for stopping in! Enjoy your Friday and rest up this weekend! 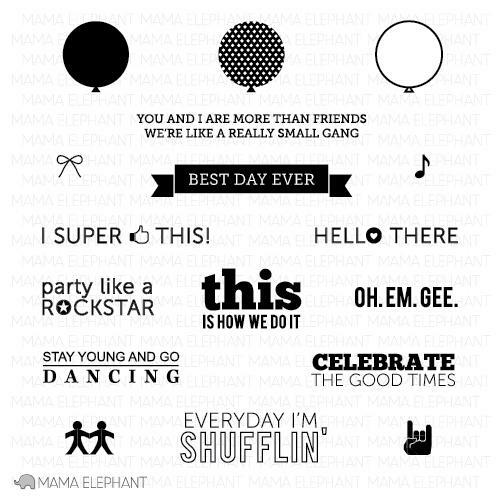 We will start again Monday morning highlighting the remaining Mama Elephant sets! Doesn't that sound like something to look forward to on Monday morning? Now it's time to give the other DT gals some love! Enjoy! Great cards JJ, I'm LOVING the clothespin one! These are so super fabulous! You woodgrained the tiny tree trunks ... love it!!! Nice sewing. And those clothes pins are the best! GOOOOOODNESS me! I loooooooooooooooooooove that tree card! SO CLEVER! 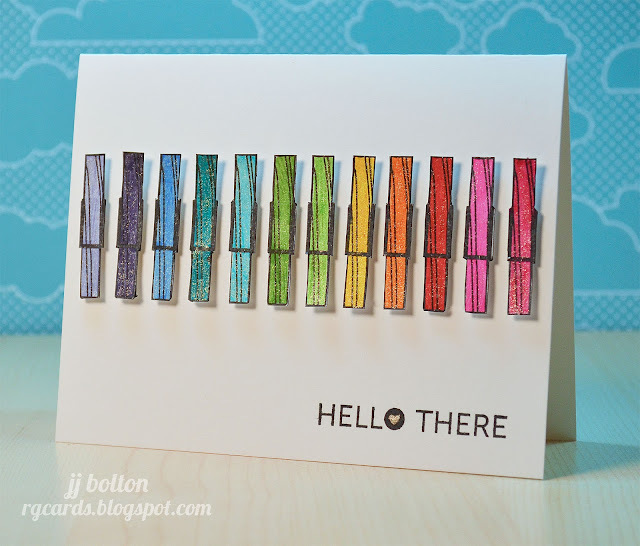 And that rainbow of clothespins! GET OUT!! AMAZING! You inspire me!! You make me DROOOOOOOOL:) LOVE x1000000! SO creative!! Love the trees and cloth pins (I've never seen the glittery kind--it's eye-opening!. Beautiful job! I love those trees! Such a gentle sweet card - loving the rounded corners and stitches in the middle :) And Oh Em Gee I love the rainbow of clothespins! 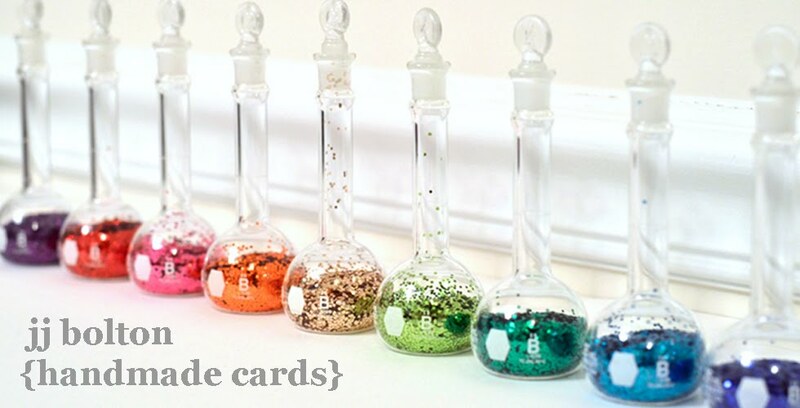 Rainbow + glitter = HAPPY! Oh the trees are just brilliant! Your tree card is incredible. I am in awe of your stitching! Love the paper clips too. So creative. JJ The trees are fabulous - you captured the changing seasons perfectly. 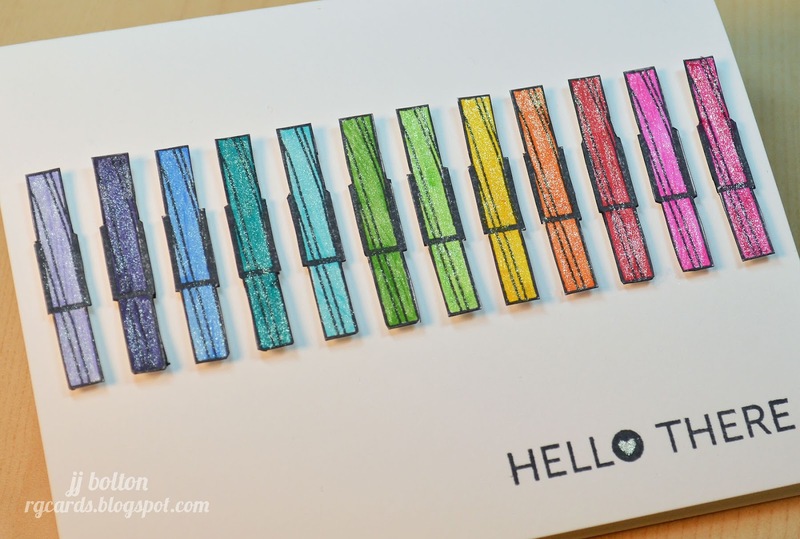 The rainbow of clothespins is awesome too! "no idea what possessed me". LOL. How often does that perfectly describe one of my card designs. Love to see you in my reader every day, you busy girl. And so glad I came over cuz you'll get me with a rainbow in any form! I love a good rainbow so your clothespin card rocks but those trees have really stolen my heart! Love how you popped up the panels and added the stitching! It's my new JJ favourite!